Hey wassup guys, Craig here. 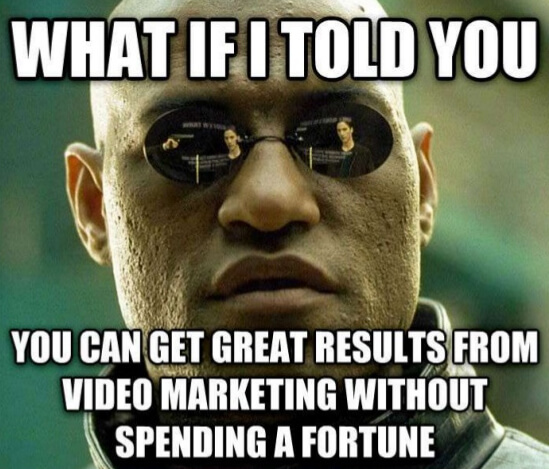 Today, I’m gonna share a super quick tip with you that could potentially double, if not triple your video marketing traffic… All without good ol’ Youtube! Cool huh, but that’s not all. What makes this super cool is that it requires zero effort whatsoever. So if you’re already doing video marketing and you want to double, if not triple your website traffic… This cool little tip is for you! Also, this is totally free to do as well, so it won’t cost you a single cent… Happy days eh ? So that said and done, here’s the video, let me know what you think below in the comment section, and of course… Enjoy! If you enjoy that, then I think you’ll want in on this. I’ve got this super cool video where I show you this really cool method I’m using to make $1000 a day online… Without ever being at the computer! Straight up. In fact, you can see not only how I do it right here but I even proof it flat-out works – not just for me – but everyone else who puts it into action! So yeah, if you wanna make a full time living from home (and who doesn’t right) then check out this video right here and I’ll show you how to do it! Seriously, I think you’ll be shocked when you see it ? Great advice as always. Keep those videos coming. Thanks Henry – glad you’re diggin’ the video ? Thanks for this James, it’s very much appreciated. I tend to find most video sharing sites a waste of time but I will also upload my videos to Vimeo and Daily Motion as well if they send you traffic as well. And as Henry said… Keep those videos coming. They’re a big help indeed. Really glad you enjoyed the video and found it helpful. Yeah, you really wanna use Vimeo and Daily Motion in your video marketing as they’re the only video sharing sites out there (apart from Youtube of course) that bring in traffic passively. I’ve literally tried hundreds of other video sharing sites and everyone of them (barring Vimeo and Daily Motion) are complete utter junk so I’m just trying to stop you wasting your time uploading your videos to all these video sharing sites as Vimeo and Daily Motion are the only worthwhile ones to bother with. Also – I’ve found Vimeo videos tend to outrank Youtube videos as well which really surprised me as you always hear about the ranking power of Youtube, but not Vimeo. Just to be clear though, I’ve only tested with videos with NO off-page optimization so it could be a totally different story if you do off-page optimisation so feel free to test yourself and share your findings if you want ? Thanks for commenting btw… Really appreciate it ?